Looking for a Remote Deposit Capture Solution? 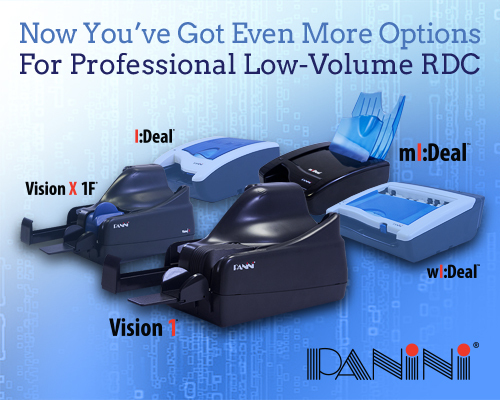 Interested in upgrading an existing RDC Solution? Wish to add Mobile Deposit to your product offering? Need a bank-neutral RDC Solution? 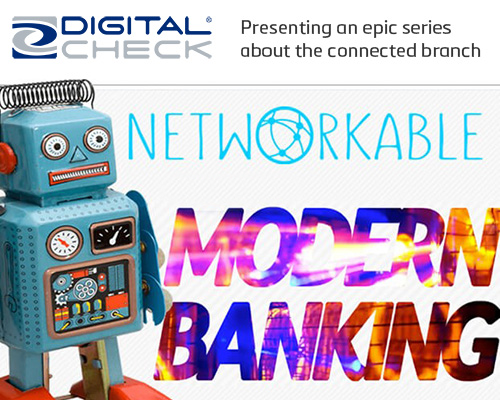 Interested in consolidating banking relationships? Need to integrate data into back-end systems? One of the major challenges a bank, corporation or small business faces in implementing or upgrading an RDC solution is simply finding and selecting appropriate vendors and service providers. 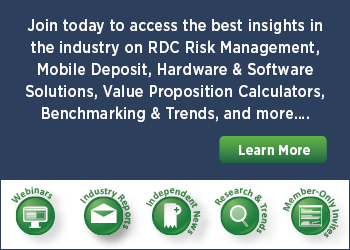 RemoteDepositCapture.com works with the Solution Providers that cover over 95% of the RDC industry. The RDC Solution Finder is designed to help you save time and money by leveraging the power of our Network and connecting you with Leading Industry Solutions Providers. Leverage the power of our network for free - simply by completing the form below. How does the RDC Solution Finder Work? Complete the RDC Solution Finder Request Form with your contact information and RDC objectives. and to better understand your RDC objectives, requirements and goals. RemoteDepositCapture.com works with dozens of industry-leading solution providers to identify and match you with select providers who can meet and exceed your requirements, goals and expectations. Qualified RDC Solution Providers contact you directly with solutions tailored to your organization. It’s that easy. The RDC Solution Finder saves you time & money by efficiently connecting you with industry leading solution providers who can exceed your expectations and proactively want your business. One form – One website – A wealth of solutions, information and expertise. And best of all: it’s free. The RDC Solution Finder at RemoteDepositCapture.com.